Where is a seaside version of keswick, to move too? Thread: Where is a seaside version of keswick, to move too? Re: Where is a seaside version of keswick, to move too? There are Marinas at Royal Quays(North Shields), Amble, Blyth, Sunderland, Seaham, Hartlepool. Tynemouth & South Shields Sailing clubs are both Dinghy with NO yachts or moorings. I am a member at Sunderland Yacht Club where there are trot moorings available. If you can cope with island life what about Peel on the Isle of Man? Its location in the middle of the Irish Sea gives access to England, Scotland, Wales, Republic of Ireland and Northern Ireland all reachable in a day, and the Clyde and Hebrides another day away. It's a similar sized town to Keswick, has hills and mountains nearby and a city only 30 minutes away. Andersen 22. The best winch never made. There could be issues with health cover. The Manx health service isn't completely NHS-compatible. Also I am reliably informed that the waiting list for space in Peel is enormous. Even those with accommodation to let still seem to be very vocal in trying to get the convention moved out of Keswick. Haven't heard any locals who like it. It's notso much the convention per se, though obviously it is an acquired taste, it is the timing of it they object to. The accomodation providers would be full anyway, and every other business in town takes a massive hit in normal summer takings. 3 weeks worth of winter turnover is a hard thing to suffer in the summer months, when it is needed to get enough cashflow to carry through winter. It actually makes no difference to my own business, but I can see it has a huge effect on almost all others. If it wasn't for the regular cancer care required, Peel would be a great suggestion. At the moment, Hampshire appear to be intent on building all the way from Portsmouth to Southampton so it's going to be even worse than it is now. That said, if you have a lot of cash there are still some lovely villages around the Hamble. Hythe is on Southampton water and has a marina some pretty spots. Handy for the New Forest, too. Hill Head is OK and has a sailing club with access to the Eastern Solent. I suspect it's down to the well-publicised problems getting the new Arran ferry finished. 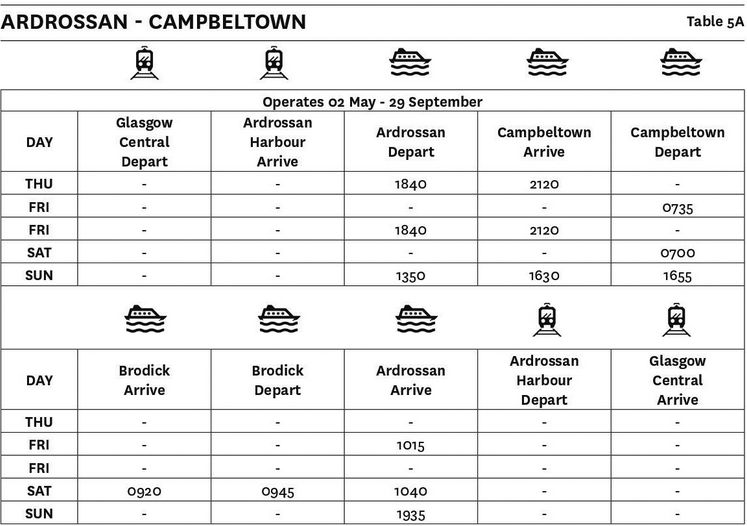 They're basically reduced to parking the current one overnight at Campbeltown three times per week. I always thought that Emsworth would be a pleasant place to live down there with close access to Chichester harbour for lots of mooring options and also sailing in the harbour, or out on the Solent for longer jaunts. From Emsworth, larger places such as Chichester, Portsmouth and Southampton. The downs are close by for walking and I believe that surfing and kite surfing are popular in Bracklesham bay. I think that the property prices may be higher than Keswick though. I fear that even the advertised service is optimistic. And it is a long long way by road. From anywhere. All times are GMT. The time now is 19:09.